…I posted it here a few months ago. Well, it was featured on Style Me Pretty on Monday! 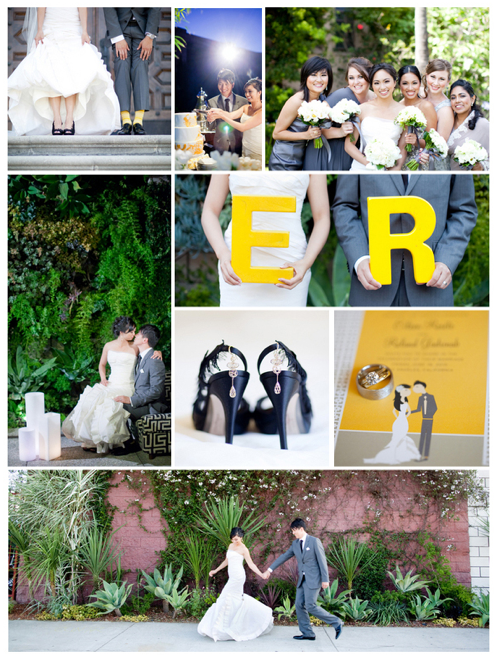 Hooray for Eileen and Roland and all of the awesome vendors we worked with last June. This is an event I will never forget. First of all, it was two days before my own wedding so while I was dealing with final details for Eileen and Roland, I was also in a frenzy finalizing the details for my big day. But the most memorable thing about this wedding was the fact that we chose the same color scheme, had hand-illustrated invitations AND used succulents for the centerpieces… it was a little like having a sneak peek at what was to come. Check out Eileen and Roland’s wedding video by Living Cinema below and to see their wedding in detail, go to the SMP site. Enjoy! West Hollywood to Culver City from Living Cinema on Vimeo.